According to the Minsk agreements, the ceasefire began on 1 July. Despite the planned ceasefire as of 1 July 2018, which was agreed by the trilateral contact group in Minsk, militants of the Russian occupying troops opened fire twice, the Joint Forces Operation HQ has said. 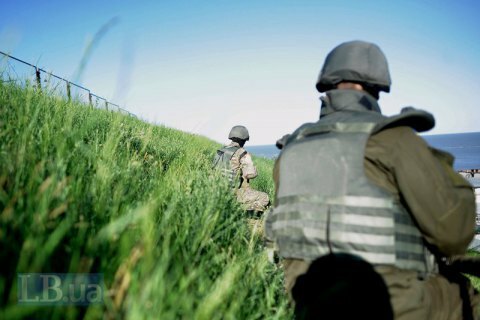 Near Horlivka, the enemy fired with 120-mm mortars at the Ukrainian army's positions near Zaytseve, and with automatic grenade launchers, heavy machine guns and small arms near Novooleksandrivka in the Luhansk sector. On 30 June, the Russian occupying troops opened targeted fire against the Ukrainian army's positions 26 times, including with heavy weapons on four occasions. One Ukrainian serviceman was wounded in combat. According to intelligence, an APC of the Russian occupying troops ran over a landmine. One militant was wounded.